Spring is finally here and it is time to start sprucing up your outdoor space. With the warmer weather just around the corner, it is time to think about outdoor furniture so you can enjoy your yard or deck. When they are looking for the most beautiful and durable patio furniture Columbus, Ohio shoppers go to Amish Originals Furniture Co. in Westerville. There is a huge selection of outdoor furniture in the show room, and no matter what you are looking for to be able to get the most out of your yard, you will find it here. Just take a short drive to 38 N. State Street and see what is available in the show room. You can find patio furniture at pretty much every department store, big box store and hardware store that you come across. The problem with the furniture that you find there is that it is not the best quality. It is often made of plastic, and will either fade or break after just one or two seasons. When you shop at Amish Originals you will find furniture that is made from the best hardwoods in the US, and it is built to hold up to the weather so you will have it for many years to come. Even though this is furniture that is made to be outdoors, it is best to store these items indoors during the winter months. Nothing is going to survive for very long if it is exposed to snow and ice year after year. The better you care for your patio furniture from Amish Originals, the longer it is going to last. In fact, when you look after this furniture, it can last for many years before you have to even think about replacing it. 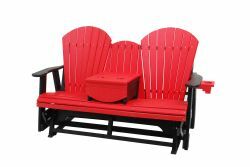 The patio furniture that Columbus, Ohio furniture shoppers love because of its beauty and durability comes from Amish Originals Furniture Co. Each item is hand crafted by members of more than 70 Amish families from around the area. The Amish have a reputation of being wonderful craftsmen as well as a great work ethic. Their talents and work ethic shine through loud and clear in each piece that you see on the Amish Originals show room floor. Get your patio furniture now, while there is still a big selection available. Before you know it, there won’t be much left, because this is the most popular store in the area for indoor and outdoor furniture.